Starring – Christopher Lambert, Kurtwood Smith, Loryn Locklin. Fortress is amazing, a cult classic in every way. 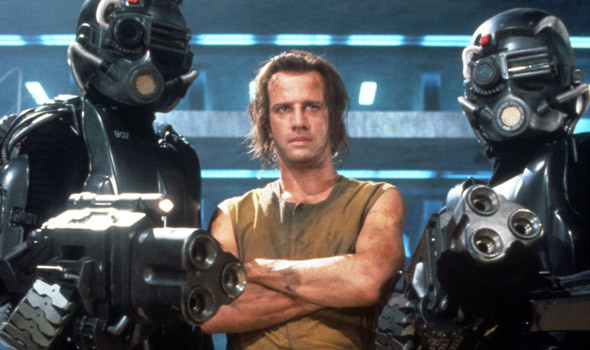 Christopher Lambert ends up in the future’s most secure prison run by a half-robotic Kurtwood Smith. Surrounded by a group of colourful side characters (including cult favourite Vernon Wells!) he plans his escape. It’s stupid, amazing and so violent. The mashing of different ideas also makes it feel very original. It’s a shame this film isn’t more well known as it rivals a lot of the more popular films of the 90’s. Connor MacLeod versus Clarence Boddicker in an artificially intelligent prison, why would you not want to watch it?